A 24-page brochure with some highlights from the IYA2009. 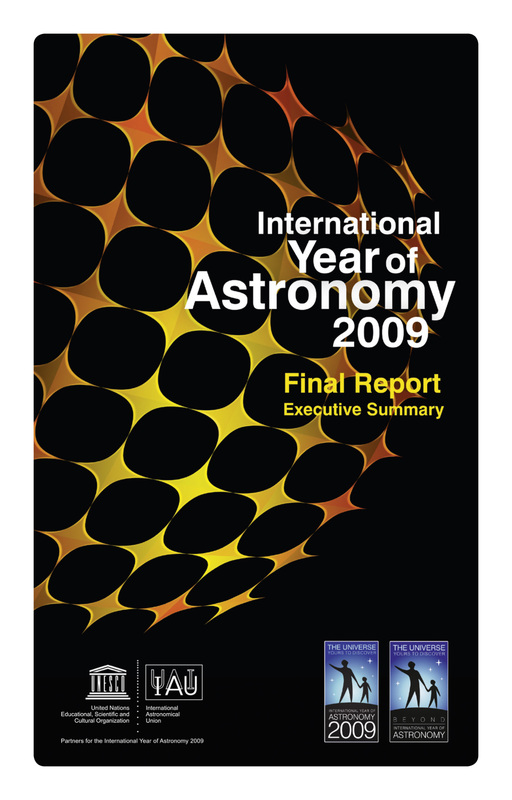 The brochure, called the International Year of Astronomy 2009 (IYA2009) Final Report Executive Summary, offers an overview of the many events that took place during the Year, as detailed in full in the 1450-page IYA2009 Final Report, which was released earlier this year. “Tens of thousands of events were held during IYA2009, but unfortunately there is only space in this Executive Summary to mention a small handful,” says Catherine Cesarsky, chair of the IYA2009 Working Group, and the IAU President for most of IYA2009. “We’ve included a diverse cross-section of events that are representative of the Year, but they should not be viewed as a ‘best of IYA2009’. We are grateful to everyone who took part in IYA2009 and we would like to say thank you to you all."